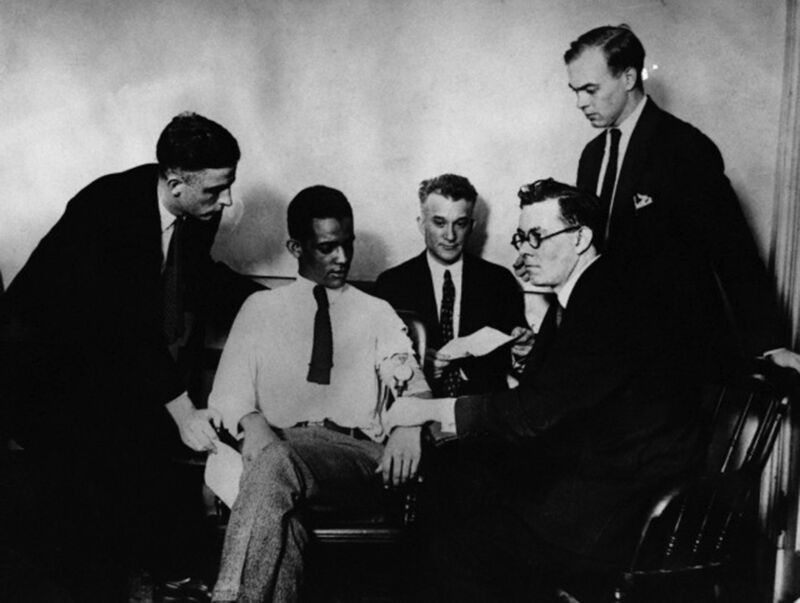 Dr. William Marston (seated at right) checks James Frye's pulse and blood pressure in this 1926 simulation of the Systolic Blood Pressure Deception Test that he had administered to Mr. Frye before his murder trial in 1922. Image licensed from Corbis. 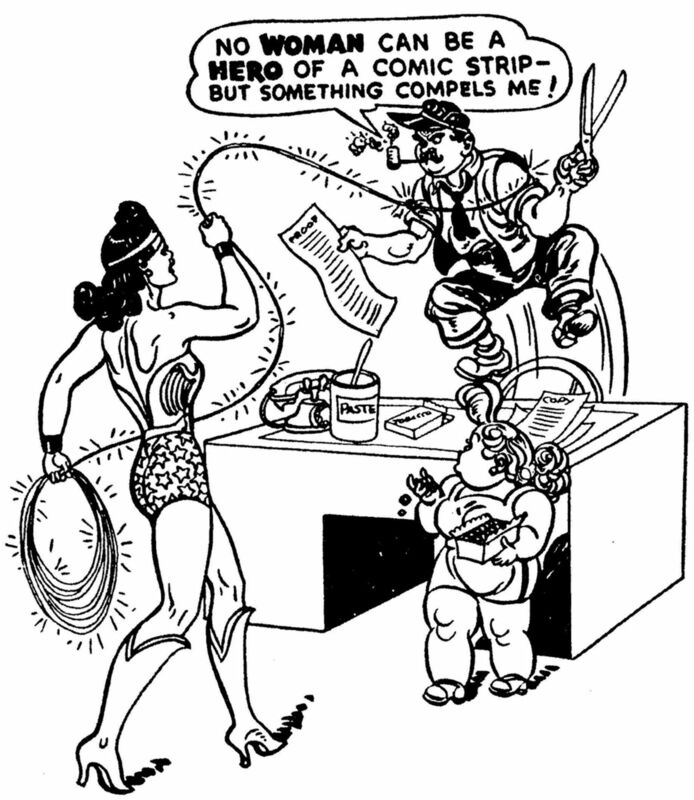 Wonder Woman applying the Lasso of Truth to a helpless journalist (Ref. 40, p 44). Reprinted with permission from The American Scholar, Volume 13, No. 1, Winter 1943/44. Copyright 1943 by The Phi Beta Kappa Society.